Join Mayuri in an Awakening Yoga Retreat in the Mountains of Dahlonega, GA.
•Explore the colorful Fall Landscape via meditative hiking. •Move beyond struggle and develop Abundance & Joy. •Reconnect your body, mind & spirit to all that you are grateful for in your life. •Engage in radical self-care, silence, seva & self-love. •Grow your Gratitude Attitude for your health & well-bring. 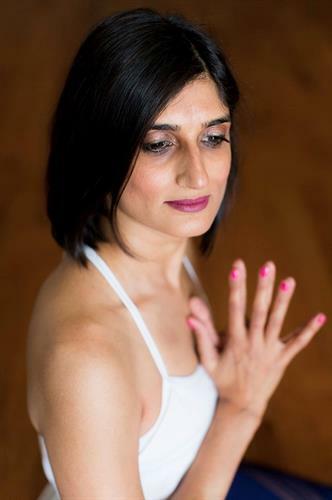 •Connect the breath & body with Yoga, Meditation & Pranayama. •Enrich your body with carefully prepared cleansing vegetarian meals & chai tea. •Experience Restorative Yoga with Live Music & Sound Healing. •Enjoy chanting, singing, and filling our hearts with peace and joy around an evening fire. To Retreat is to honor yourself with Gratitude. Includes double occupancy, meals, gifts, gratuities.